Röyksopp have released their disco-inspired video for latest single ‘Never Ever’ featuring Susanne Sundfør. ‘Never Ever’ was released on 9th September and entered the Spotify Viral Chart Top 50 at Number 28 with over 2 million plays and 70,000 streams on Apple Music. ‘Never Ever’ is the duo’s first single since they released their final album ‘The Inevitable End’ in 2014. 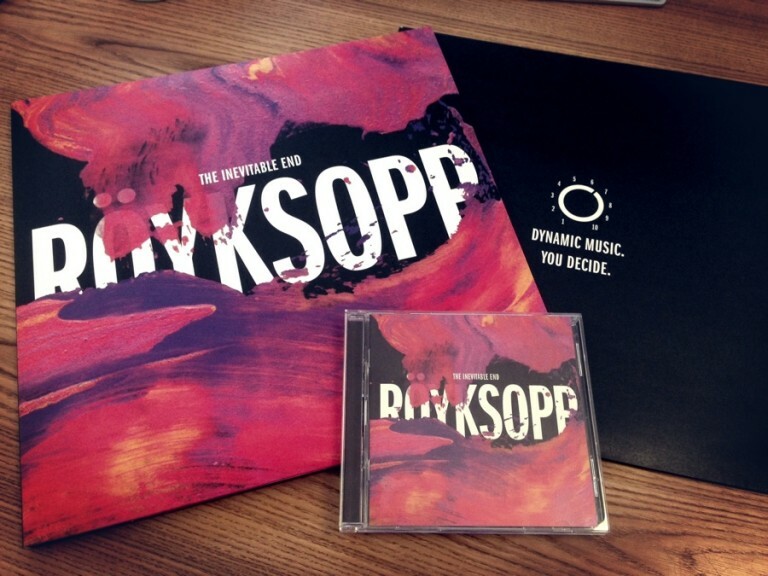 Röyksopp have released 6 full-length studio LPs, all of which were UK Top 40 albums. After the release of ‘The Inevitable End’, the duo then pledged that it would be their final full-length record, thus completing their six album cycle. They also promised they would return with new music in other forms as and when time was right. 2016 marks the 15th anniversary of their classic debut ‘Melody AM’ that cemented Röyksopp as one of electronic music’s leading lights. Since then they have gained worldwide acclaim and success with two Grammy nominations, a Brit nomination and winning seven Spellemannprisen Awards. But the duo aren’t planning on looking back just yet. This is the inevitable new beginning. 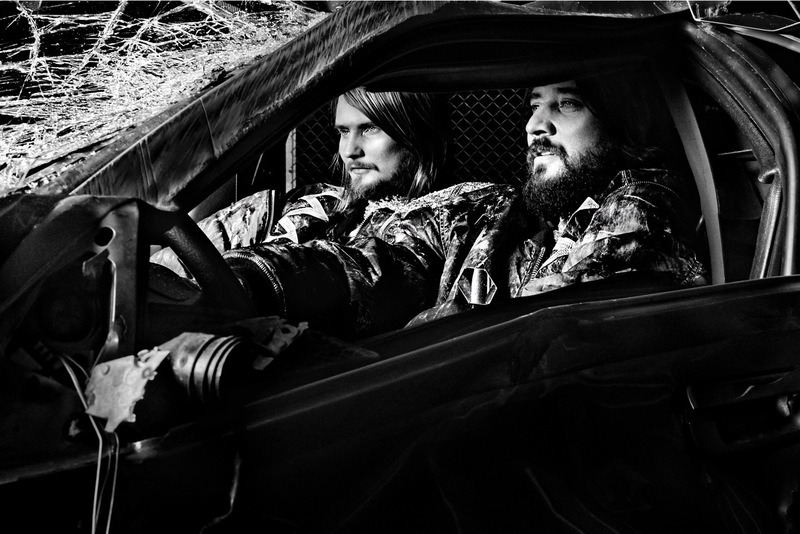 Röyksopp will play a DJ gig at London’s Bankside Vaults on Friday 25th November. Röyksopp make their triumphant return to Astralwerks nearly 15 years after the label released the duo’s seminal debut album, Melody A.M. Today, Astralwerks released Röyksopp’s unabashedly club-readynew single,”Never Ever.” Influenced by late-period disco and ’80s electronic pop, the track features critically acclaimed Norwegian vocalist Susanne Sundfør, who also appeared on two tracks from The Inevitable End and on Röyksopp’s cover of Depeche Mode’s “Ice Machine” from the duo’s Late Night Tales compilation album. “Never Ever” can be downloaded HERE and streamed on Spotify and YouTube. Releasing themselves from the album cycle has freed Röyksopp up to explore new ideas and opportunities, such as their track for Rick Rubin’s Star Wars Headspace album, which challenged musicians to make songs using sounds from the Star Wars universe. One idea they’re working on is for a series of tracks that explores a counterpoint to the super-clean sound of modern electronic music. “I think we would like to further our exploration into the analog world, like the early years of electronic music, where synths and drum machines would be used in combination with more traditional acoustic and analog instruments. Like we’ve done in that past, but take it even further,” says Svein Berge. The video depicts a couple in love, separated after an argument. The girl is trapped in her car, witnessing apocalyptic scenarios unfold. We question if they ever are to be re-united as the world comes crashing down. Her love is the only person she wants to be with, but it’s too late. He texts her “I never meant to let you go…”. The battle between reason and desire is a theme that runs throughout ‘The Inevitable End’ and ‘I Had This Thing’ sums it up perfectly. Röyksopp delicately utilizes the deliriously sad vocals sung by Jamie Irrepressible. Lyrics like “I still don’t know just what I’ve done”, and the mantra of “I never meant to let you go”, are weaved into exquisite harmonies over a dirty, pulsing bass. Following the success of the Maceo Plex remix of ‘Sordid Affair’ that was #1 on Hype Machine, Röyksopp present an impressive line up of remixes for ‘I Had This Thing’: Joris Voorn, whose recent album ‘Nobody Knows’ was named Billboard’s Electronic Album of the Year, dark disco Norwegian Andre Bratten, hot production trio Kraak & Smaak, will.i.am collaborator Wolfgang Gartner, as well as The Presets, Sebastien and Röyksopp’s vocalist on ‘Sordid Affair’, Man Without Country. The Joris Voorn remix has already created an early buzz with over 186k Soundcloud plays and The Guardian highlighting it in their top 10 big tunes from the Miami music conference. 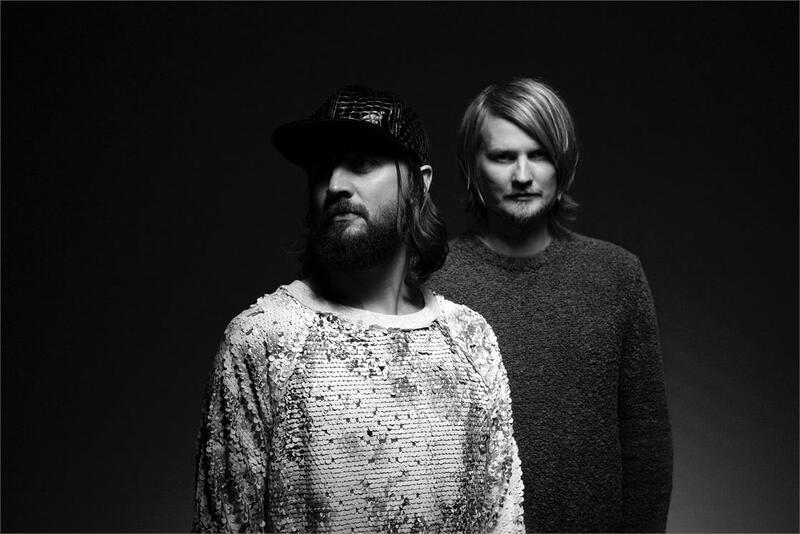 Röyksopp ended 2014 with a string of international Grammy nominations having released two critically acclaimed albums in one year; their fifth and final album ‘The Inevitable End’ and their mini album with fellow Scandinavian legend Robyn ‘Do It Again’. Röyksopp will release new single ‘I Had This Thing’, taken from ‘The Inevitable End’ on April 3rd 2015, through Dog Triumph via Wall Of Sound and Cooking Vinyl. The battle between reason and desire is a theme that runs throughout ‘The Inevitable End’ and ‘I Had This Thing’ sums it up perfectly. Röyksopp delicately weave the deliriously sad vocals sung by Jamie Irrepressible, “I still don’t know just what I’ve done” and the emotional final mantra of “I never meant to let you go”, around a cavalcade of electronic textures that descends around him. ‘I Had This Thing’ is another fully realised electronic symphony from a pair of production geniuses constantly looking to innovate. Following the success of the Maceo Plex remix of ‘Sordid Affair’ that was #1 on Hype Machine, Röyksopp present an impressive line up of remixers for ‘I Had This Thing’. Artists include Dutch born Joris Voorn (stream here) whose recent album ‘Nobody Knows’ was named Billboard’s Electronic Album of the Year, dark disco Norwegian Andre Bratten, production trio Kraak & Smaak, Will.i.am collaborator Wolfgang Gartner (stream here), as well as The Presets, Sebastien and Röyksopp vocalist on ‘Sordid Affair’, Man Without Country. Stream the original version and the Andre Bratten remix of “I Had This Thing” below. Röyksopp reveal new video for “Skulls” and Maceo Plex’s remix of “Sordid Affair”. The band released critically acclaimed new album ‘The Inevitable End’ on November 10th 2014 and entered the UK album charts at number 29 and Electronic iTunes Chart at number 1. ‘Skulls’ was the first track taken from the album, a song that comes with an invitation and a stark warning, set amongst squelchy bass lines and filtered synths. Röyksopp and long time collaborator Norwegian director Stian Andersen have made a haunting black and white film to accompany the song. ‘The Inevitable End’ is Röyksopp’s final and most personal album to date, and their second in the space of 6 months, following the critically acclaimed mini album and sell out tour ‘Do It Again’ with fellow Scandinavian legend Robyn. The LP features Jamie Irrepressible, Norwegian singer songwriter Susanne Sundfør and Robyn. Stream Maceo Plex’s remix of “Sordid Affair” below. Already being hailed as their best album yet, Röyksopp released ‘The Inevitable End’ on November 10th 2014, followed by first single ’Sordid Affair’ on November 24th. ‘The Inevitable End’ is their final and most personal album to date, and their second in the space of 6 months, following the critically acclaimed mini album and sell out tour ‘Do It Again’ with fellow Scandinavian legend Robyn. The album features Jamie Irrepressible, Norwegian singer songwriter Susanne Sundfør and Robyn. The band has now shared the Marcus Marr (DFA Records) remix of “Monument Dance” featuring Robyn. Check it out below. 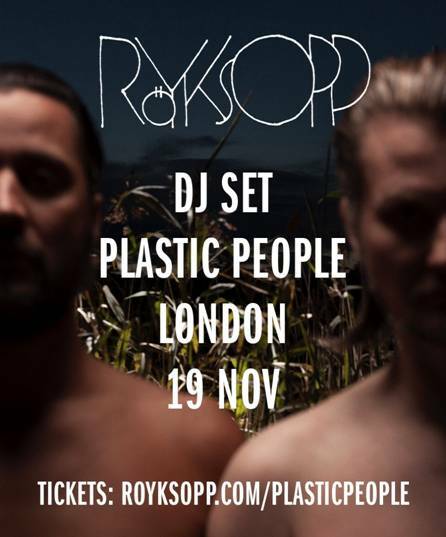 Röyksopp will also play London DJ show on November 19th 2014. Röyksopp announce their first single ‘Sordid Affair’ featuring Man Without Country available now, through their own Dog Triumph via Wall Of Sound and Cooking Vinyl. ‘Sordid Affair’ is taken from their fifth and final album ‘The Inevitable End’ released on November 10th 2014. ‘Sordid Affair’ is a sophisticated and delicate song which Ryan James from Man Without Country sings throughout with heartbreaking intensity. Röyksopp explain ‘Sordid Affair’ as “A recollection and contemplation of the emotional aspects of the endeavours as described in the track title. The difficulties of letting go of emotional attachments – even those of a questionable nature.” Liste here. ‘The Inevitable End’, is electronic music overlords Röyksopp’s most personal album to date and their second album release in the space of 6 months, following the critically acclaimed mini album and sell out tour ‘Do It Again’ with fellow Scandinavian legend Robyn. The album also features Jamie Irrepressible and Norwegian singer songwriter Susanne Sundfør. Here’s Mark E’s contemplative-but-machinistic remix of Röyksopp & Robyn hit single, Monument. The Ghostly International house producer stretches the track into a breathy eight-minute minimalist opus and it has a certain hypnotic quality that might just have you pressing repeat. Below, you can also watch the official video for the original track, which is taken from the critically acclaimed Do It Again mini-album out now on Cherrytree Records/Interscope. “Monument” remixes from Kindness and Mark E are be available now. 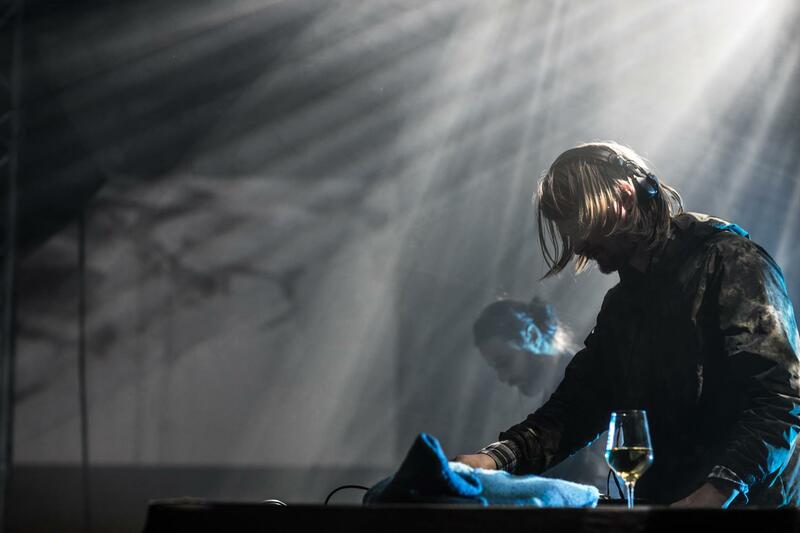 Röyksopp and Robyn premiere their ‘Do It Again’ video, the first single to be taken from the critically-acclaimed ‘Do It Again’ mini-album out now on Dog Triumph via Wall of Sound and Cooking Vinyl. 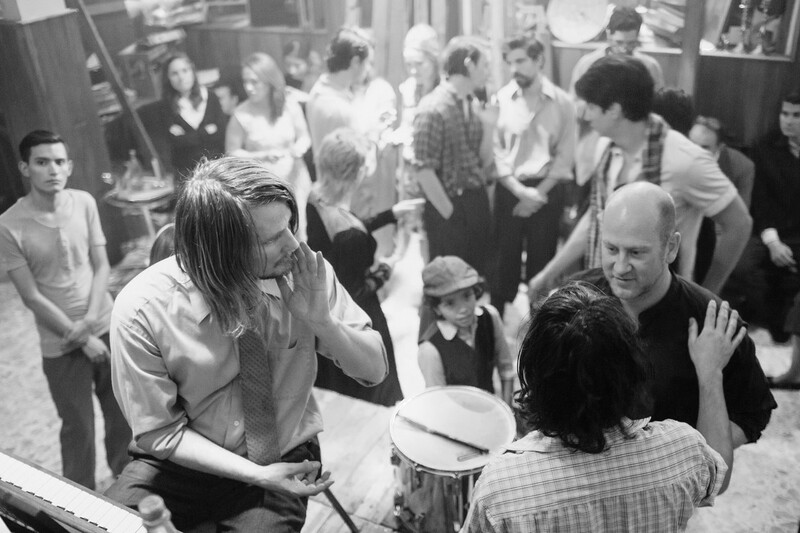 The video for ‘Do It Again’ was shot in Mexico by award-winning Danish filmmaker Martin de Thurah. The short film is called ‘Our Hearts’ Desires’ and is set in an unspecified era where a revolution is in the making. It tells the story of desire, ecstasy and forbidden love. Says de Thurah, “‘Do It Again’ feels like it’s an unstoppable pop mantra of something out of hand. A spiralling hypnotic maelstrom. The video touches our hearts’ desires: deep passions; revolutions full of hope and excitement; a dream of freedom; obsession; the ecstasy and escapism; the darkness. And it ends in a mix of violence and laughter, freedom and the loss of free will. All of this somehow ends on a note of hope through struggle. Something worth fighting for. Do it again.” Read more about the collaboration between Martin de Thurah, Röyksopp & Robyn on Dazed Digital.